The slow recovery is still intact; Neo and Bytecoin doing well, Bitcoin Diamond is surging. Following a couple of days of inactivity when markets made very little movements in either direction the slow recovery has continued. Market capitalization is creeping back towards $240 billion, its highest level for almost a month. Bitcoin has made another 1.2% on the day to trade at $7,380 with one big green hourly candle last night. BTC is now at its highest level for over a month and resistance has turned support. Ethereum is still suffering and has fallen back again, another one percent to take it closer to $280. There is very little momentum or positive sentiment in the Ether market at the moment. Most altcoins in the top ten are in the green, with the exception of ETH and XRP which are down marginally. The top performer here is Stellar climbing 3.3% to $0.229, the rest have not moved much from yesterday’s levels. Looking at the top twenty Neo is in the lead with a gain of 3.5% to $24 on the day. Nem is up just over 3% and the rest just a percent or two, with Tron and VeChain falling back slightly. Further down the list Bytecoin is up 9% but many of the rest are in the red. 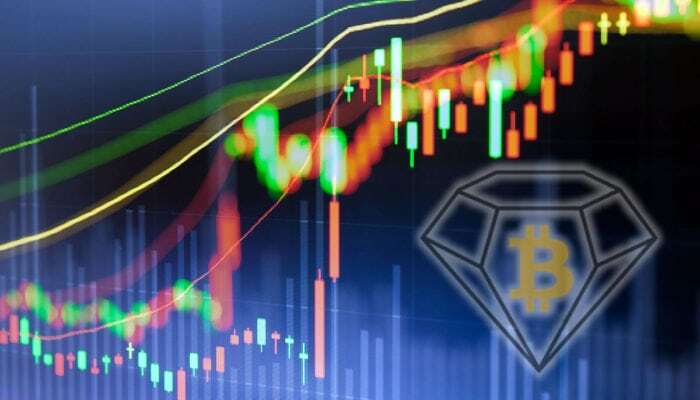 A massive spike for Bitcoin Diamond has seen it jump 190% to $3.82 in the past two hours. Volume has surged over 550% to almost $60 million from less than $1 million 24 hours ago. BCD price just tipped over $4 making a 200% gain before pulling back slightly. In the top one hundred Dropil and Statis are both enjoying double digit gains of over 18% and 13% respectively. On the flipside are Bitcoin Dark and Holo with double digit losses of over 14% on the day. Total crypto market capitalization has made less than one percent on the day and is currently at $239 billion. Trade volume has increased slightly to $13 billion and the recovery from mid-August’s yearly low is still slow and steady.